Oil sketch, painted on location at one of the small pockets of ancient Caledonian Forest that still exist in the Sidlaw Hills. This forest once covered the whole of Scotland. Painted fairly directly in opaque oil. “The Pines were in my mailbox today - How can something so small be so strong? As subdued as it is, it is full of life. 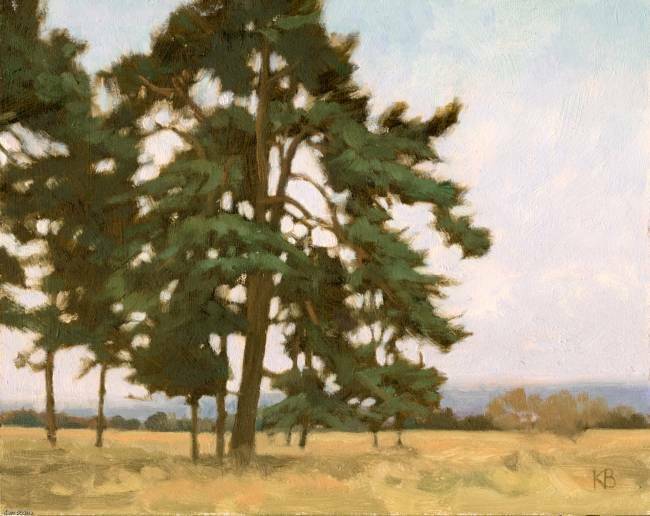 study at the top of the landscape painting page. Wow.